My father took photographs between 1931 and 2006 during which Norwich changed through slum clearance, the blitz and redevelopment. Long bicycle rides and latterly car excursions enabled George Plunkett to take pictures of churches and other historic sights around Norfolk. Many thanks for visiting: I hope you enjoy browsing. Although the photographs on www.georgeplunkett.co.uk are copyright, you are welcome to make personal use of them. Text accompanying the photographs was written by my father two or more decades ago, and may be out of date or contain errors, for which I apologise. I look forward to hearing from you and will do my best to answer within a day or two. A copy of this site is available on the British Library's UK Web Archive (quick search for 'Plunkett'). 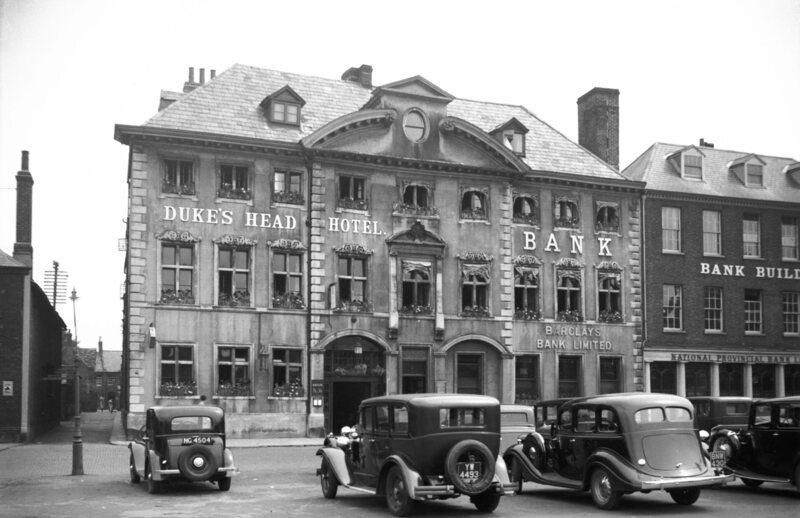 This page's background is the Duke's Head hotel in the Tuesday Market Place, Kings Lynn, taken August 12th, 1935.